Frisco, Texas – The MBMI Companies, LLC announced that Mary Jo MacLaughlin, a nationally recognized management consultant, business strategist and university professor, has agreed to provide her expertise to the company’s subsidiaries and clients. MacLaughlin will support clients of MultiBrand Media International, Valoriant Safety and Maximized Brand Marketing International with strategic planning initiatives, quality management projects and the fulfillment of process design and improvement objectives. For more than three decades, Ms. MacLaughlin has provided her guidance and services to a variety of healthcare and general business entities throughout the United States, as well as state and municipal government agencies and not-for-profit organizations. 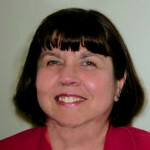 Mary Jo MacLaughlin is a graduate of Western Michigan University and holds a Masters Degree from St. Joseph’s College. In addition to working with The MBMI Companies, Ms. MacLaughlin is a professor at a Florida university, where her course offerings include Strategic Planning and Quality Management. The MBMI Companies, LLC is headquartered in Frisco, TX. It wholly owns and operates MultiBrand Media International, LLC, Maximized Brand Marketing International, LLC and Valoriant Safety, LLC, with offices in Vienna, Vancouver, London, Boston and San Diego.